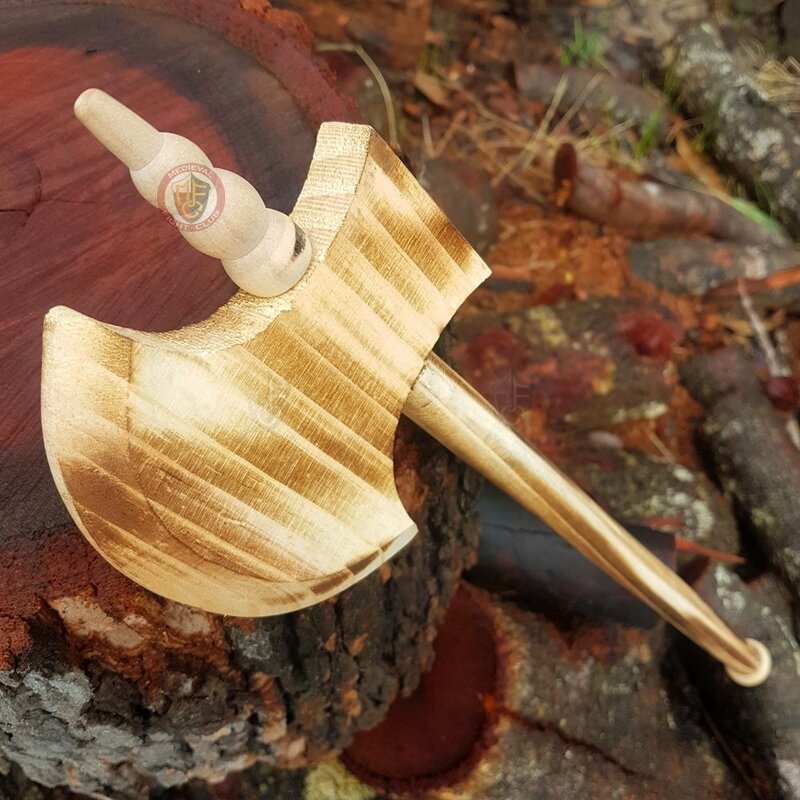 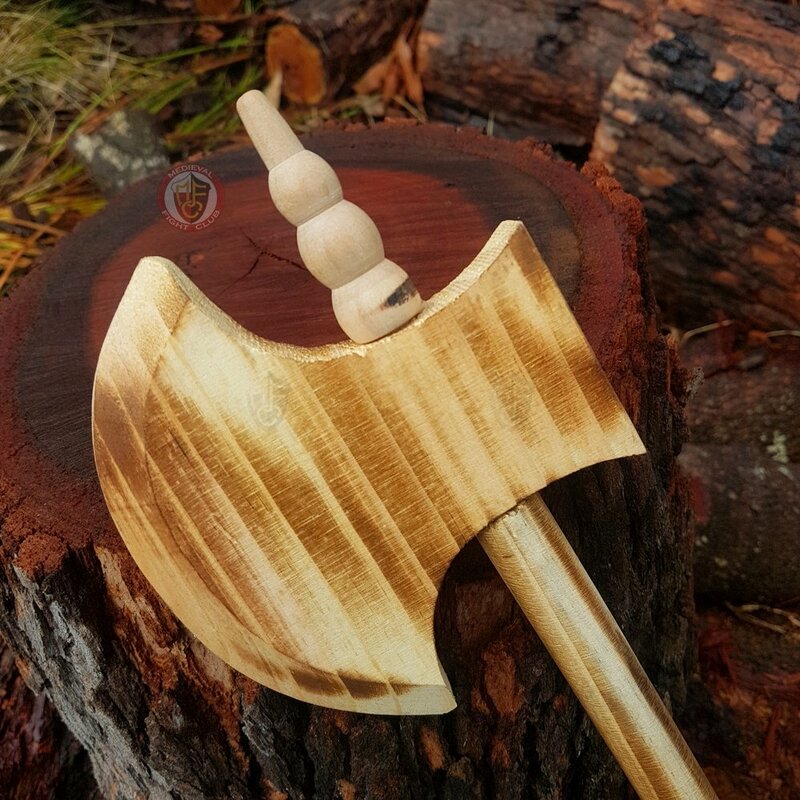 This wooden axe is shaped from two pieces of wood capped with woodturned end cap and spike. 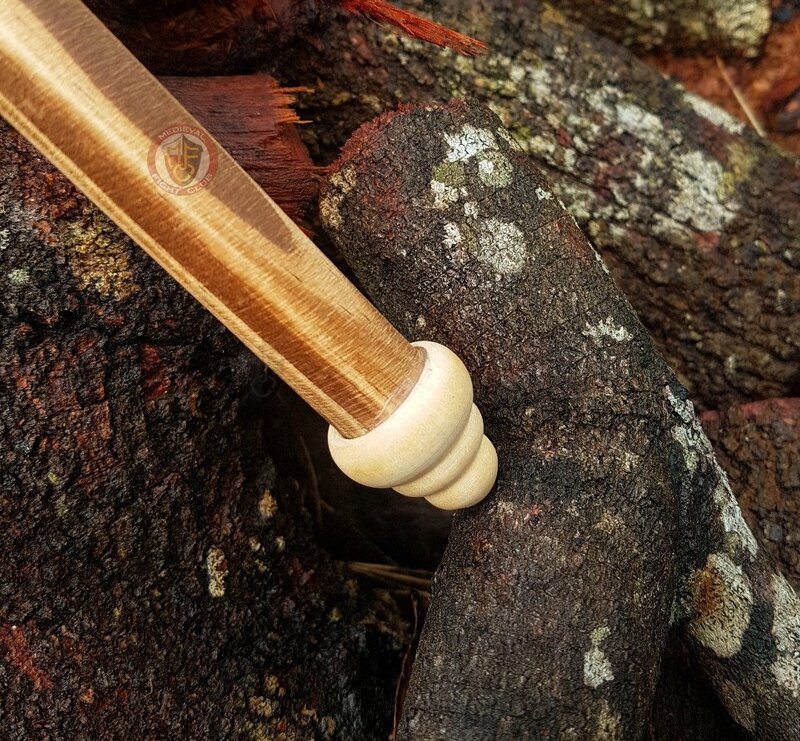 Please remember this is a simple toy, NOT a bat or racket. 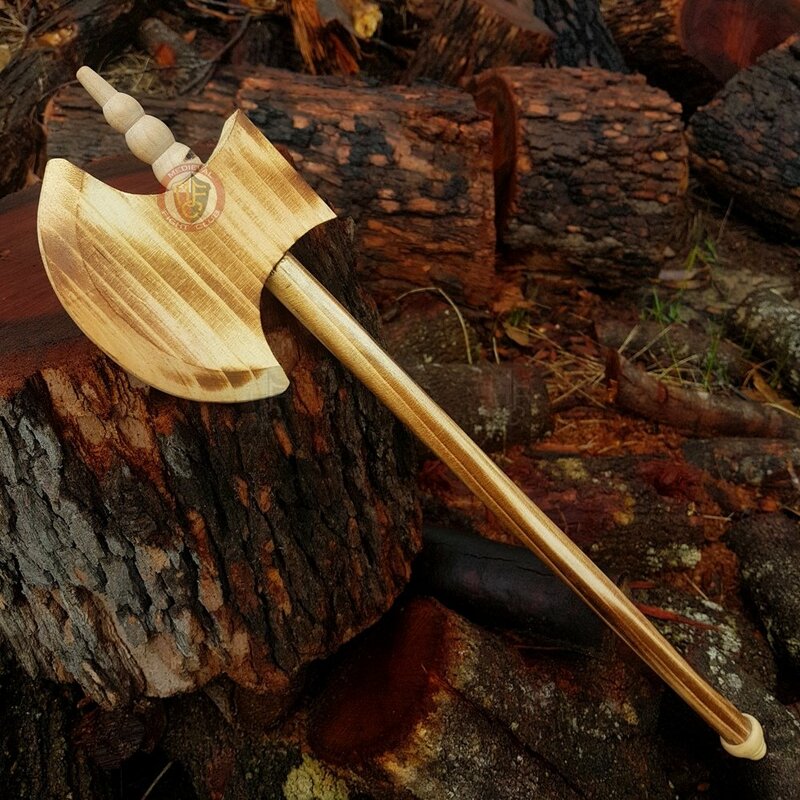 It is not designed for hitting hard.